Andrea is a professional with over two decades of audit and risk management experience. In October 2018, she was appointed to her current role, Acting Leader, Internal Audit reporting to the Audit Committee of the Board and the Senior Vice President, Chief Financial Officer. 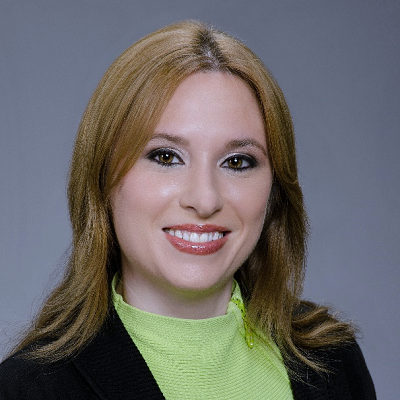 Andrea leads a team of 25 professionals in the planning and execution of audits that address financial, operational, compliance and information technology risks. She is responsible for bringing a systematic and disciplined approach to monitoring, evaluating and improving the effectiveness of internal controls, risk management and governance processes throughout the company. She collaborates with business management and Harris’s independent auditors to ensure Harris’s audit approach is pragmatic and focused on risk. Andrea has also played a key role in reassessing the function’s audit methodology, practices and talent as well as introducing a digital automation strategy to improve risk identification and audit efficiencies.